The names and social security numbers of 134,386 sailors were accessed by "unknown individuals" from a contractor's laptop computer, the Navy announced Wednesday. The Navy said it was notified by Hewlett Packard Enterprise Services on Oct.27 that one of its employees supporting a Navy contract had a laptop compromised, according to a service statement. There is no evidence for now that the personal data has been misused, according to the preliminary results of an ongoing Naval Criminal Investigative Service investigation. 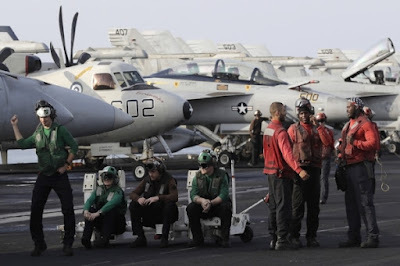 "The Navy takes this incident extremely seriously -- this is a matter of trust for our sailors," Chief of Naval Personnel Vice Adm. Robert Burke said, according to a Navy statement. "We are in the early stages of investigating and are working quickly to identify and take care of those affected by this breach."